As a Construction Company, you have needs that are as varied as your client base. You must ensure that each level of your business is running smoothly at all times, thus securing your profitability and success in the industry. And most importantly, you need to ensure that each job is under control from a costing stand point. HOW CAN ONEIR SOLUTIONS HELP MY CONSTRUCTION COMPANY? Your success depends on job management, accurate estimates, purchase order tracking, employee/contractor management and even tracking of your relatively small inventory. You need to know the actual cost of each job as it happens. Without this knowledge, you are potentially losing precious profit margins. With Oneir Solutions, you can calculate the actual cost of each job, including materials, what type and how much labor, thus reducing extra surprise costs for your customers. Track your inventory in real-time as the subcontractors take the materials they require to the job site. Track your vendor orders, so you can have an accurate ETA for your customers and start the job on time. Accurately estimating specific jobs is key. With Oneir Solutions, you can easily and quickly turn these quotes into orders and expedite as required. You may easily see estimates versus actual costs, securing your continued success. Oneir Solutions can help with each step of the job. From order taking with Sales Order to placing and tracking vendor orders with Purchase Ordering to tracking active jobs with Job Costing and finally, delivering to and invoicing the customer. 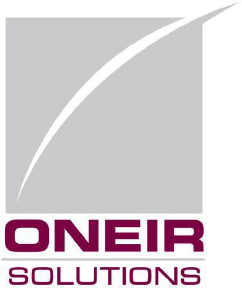 For many years Oneir Solution has offered innovative product with the best technological advances in our industry throughout North America and Britain. Sales Order Tracking & Invoicing: Track your order backlog and unbilled jobs..
Material Requirements Planning: Track inventory levels and facilitate ordering through the purchasing controls with the Bill of Materials. Job Costing: Estimates, down payments and job invoices. Track performance on each phase and the total job.